The Greenville Hospital System Swamp Rabbit Trail is currently a 17.5 mile multi-use trail system that runs along the Reedy River connecting Travelers Rest with the City of Greenville. Planned expansion is in progress. The paved trail that covers a former railroad line has distance markers located every one-half mile and is an excellent venue for longer interval sessions and/or long runs. Although there are multiple trail access points, one of the most popular is at Furman University. The trail runs through the Furman campus and allows access to the wooded trails or paved roads on the beautiful campus. The SRT also runs through downtown Greenville along the Reedy River and into Cleveland Park and through some of Greenville's historic neighborhoods. With over 800 acres, Furman offers varied surfaces to run on. There is the popular tree-lined Furman Mall, which is home to multiple road races and events. The road circling the Furman lake has been a popular running route for over half a century and the Irwin Belk Track Complex offers a 400-meter Mondo surface. 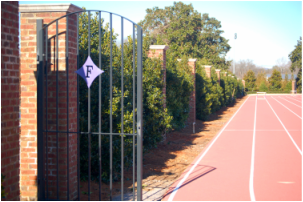 There are also trails behind Paladin Stadium and trails near the Furman golf course that have been unitized by not only Furman students and athletes, but also professional runners from Furman Elite and also ZAP Fitness who use Furman as one of their winter training bases. 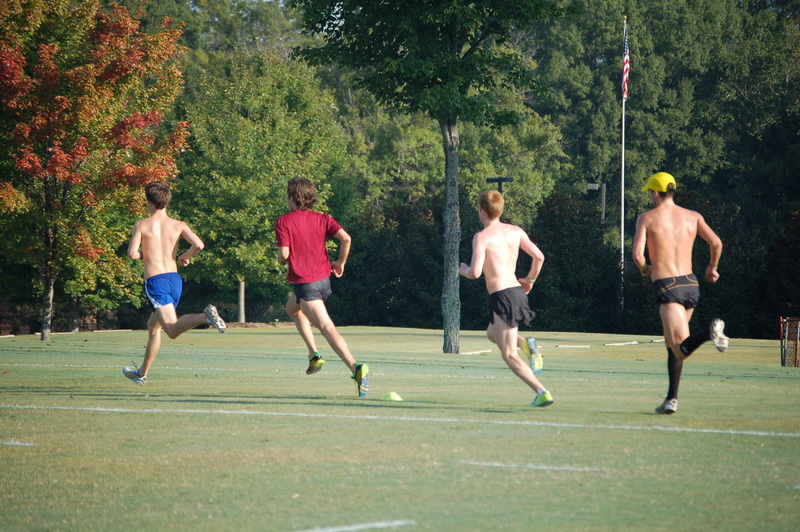 The Furman University cross country course is located on the university campus golf course. It has multiple loop along the grassy fairways and surrounding areas. For many years one version of the course was used for the NCAA Southeast Regional Cross Country Championships. The course was also the scene for the 1997 and 2001 NCAA Division I National XC Championships and has also hosted the Southern Conference XC Championships as well as the annual Furman Classic and Gene Mullin Invitationals. The 400-meter MONDO surfaced Kelsey-West track at the Belk Track & Field Complex is an excellent facility for interval sessions. It has hosted the annual Blue Shoes Mile, featuring professionals and top collegians and has seen multiple sub-four-minute miles over the past decade. There are also lush grassy field next to the track that can be utilized for training sessions. Paris Mountain State Park is located just five miles from downtown Greenville and about seven miles from Furman University. The park contains multiple trails that are used for hiking, trail running and mountain biking. The terrain ranks from slightly to extremely hilly. Although not recommend for faster training sessions, the hilly trails are excellent for building endurance while providing softer surfaces during training. The park is also the site for the Paris Mountain Trail Running Series, sponsored by the Greenville Track Club. 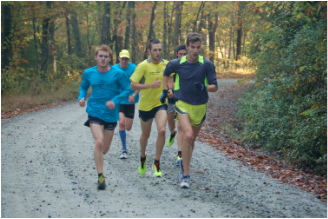 One of the favorite venues of Furman University's distance runners for Sunday Long Runs, the 9.3 (15K) mile route circles around the recreational lake covering some paved, but mostly dirt surfaces. "Tuxedo" as it is usually referred to is about a 25-minute drive from Furman and 30 minutes from Greenville. Usual long runs consist of one complete loop plus some out-and-back or the "double loop." Tuxedo is approximately 2000 feet elevation and offers some spectacular views of the lake and surrounding hills and foliage. There are also some excellent hills on the loop which the GTC-ELITE utilize for longer hill sessions including our 6 x 1,000 meter climb workout. In addition to the golf course, Furman University has multiple grass-covered athletic fields which are excellent for running interval sessions. The GTC-ELITE utilizes these surfaces frequently for interval and specific economy sessions. With over 80 miles of trails DuPont State Recreational Forest is a great place for non-pavement running. Located just across the SC/NC state line "DuPont" is a favorite of ASICS GTC-ELITE for occasional Sunday long runs. With multiple, impressive water falls for viewing it is an excellent alternative to other running venues. The 10,400 acre DuPont State Recreational Forest is located in Henderson and Transylvania Counties between the towns of Hendersonville and Brevard. The scenic drive to Dupont is just under an hour from Greenville and crosses Cesar's Head each way. Through the generosity of headmaster Dr. Leonard Kupersmith, the GTC-ELITE athletes have access to the rubberized surface at Greenville's Christ Church Episcopal School. The facility provides an excellent venue for interval sessions in a beautiful setting.